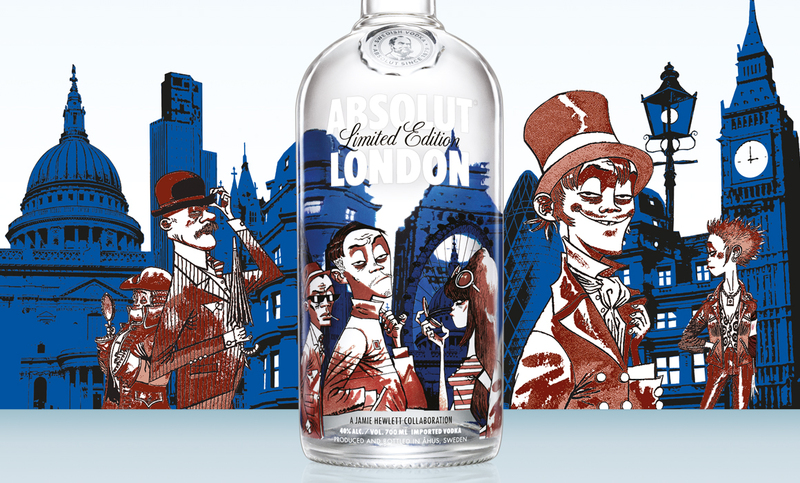 To Celebrate London’s summer of 2012, Absolut Vodka commissioned a series of illustrations by artist Jamie Hewlett, inspired by the characters to be found in the city. 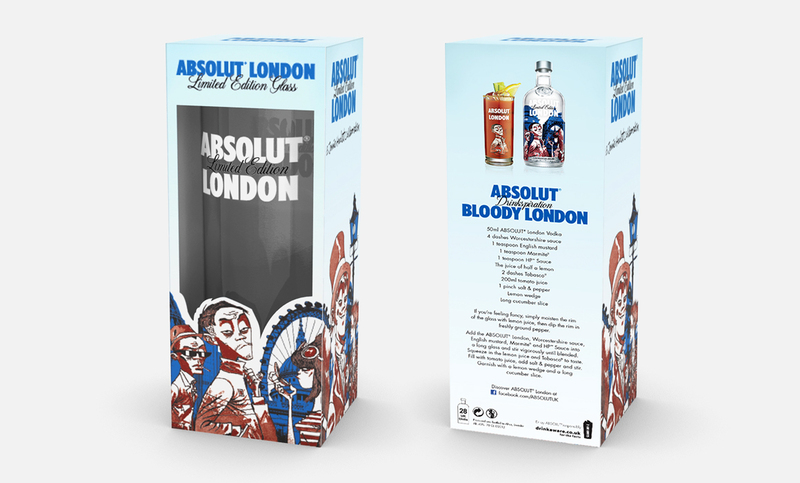 We were asked to use these assets to create gift with purchase and collector items, supporting the launch of Absolut London, the latest limited edition of their world famous Absolut Cities range. 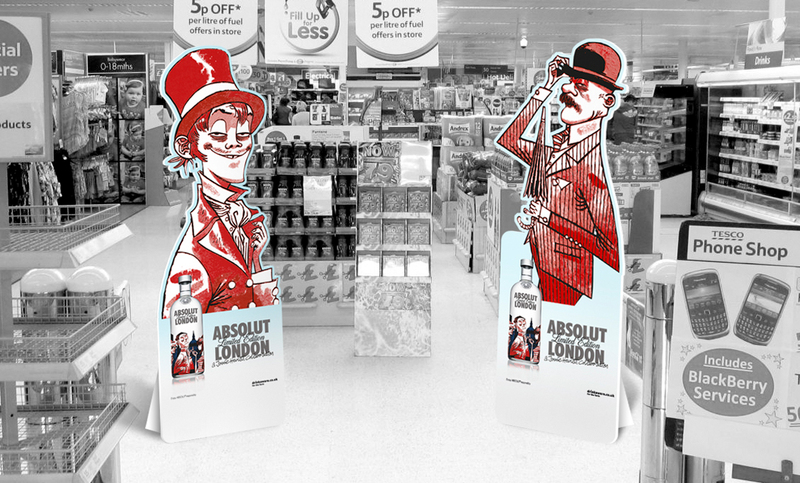 We produced a range of highly collectable glass wear, both high-ball and martini, as well as a Special Edition gift set. 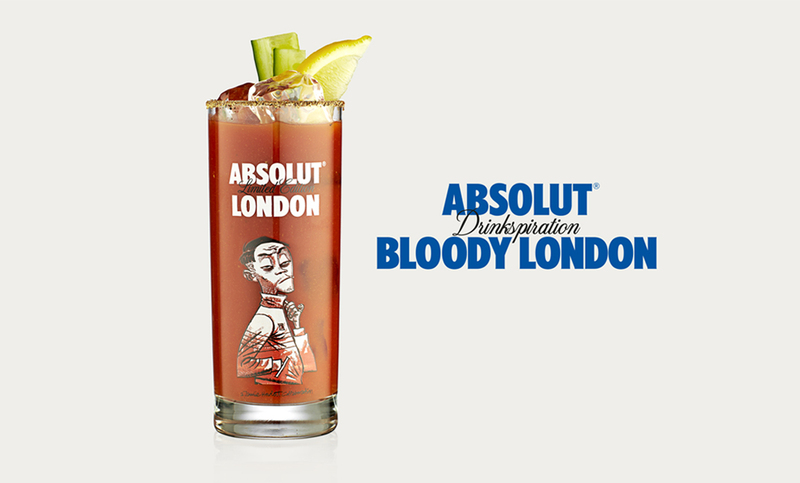 We also created a unique cocktail to mark the occasion ‘Absolut Bloody London’ the recipe for which appeared on the back of all packaging.